Jose Canseco with girlfriend talked “Moment of Truth”. Back when FOX network had the controversial game show called “The Moment of Truth” hosted by Mark Walberg, it filmed several special celebrity episodes that were never aired. One such episode was with famous pro baseball player Jose Canseco. Best known for being black-listed from the Major Leagues for admitting to the use of steroids. This Ball Player’s MOMENT OF TRUTH Full Episode Recap Here! HOLLYWOOD JUNKET got the chance to ask Canseco about “The Moment of Truth” episode that he was on during a “Toys For Tots” Hollywood Christmas drive. Thanks to World Monitor TV, we were able to capture the full video interview and now bring it to you below. 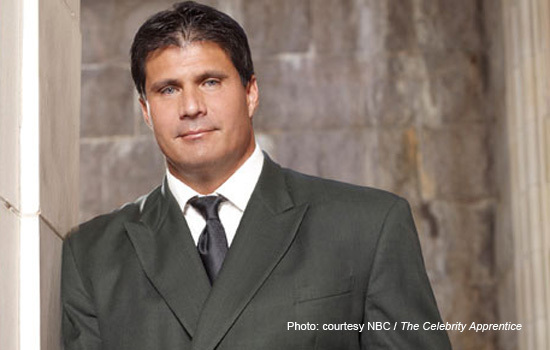 Canseco stated that he didn’t know why his episode never aired. “It would be one of the most interesting episodes because they asked me a lot of questions on Major League baseball and if I did certain things with certain players. Also a lot of questions that pertained to the Congressional Hearings, how I testified, how the players testified and what I said in my first book Juiced. So, I’m very surprised that the episode hasn’t aired yet,” said Canseco. Since being on NBC’s reality competition show, “The Celebrity Apprentice” he spent four months managing and playing for baseball team “The Scorpions”, and is currently working on some more reality shows, acting and speaking engagements. I am surprised that this program isn’t still airing. I really liked it. I would like to see it come back. It was pretty rad.